The General Data Protection Regulation (GDPR) came into force on May 25, 2018. This data protection regulation aims to ensure the security of Europeans’ personal data and give individuals more control over their sensitive data in today’s digital age. The GDPR requirements apply to all organizations that collect the personal information of EU citizens, regardless of the company’s location. However, with tons of personal data spread across different locations, ensuring the security of regulated data can be impossible without specialized tools or a GDPR compliance solution. Achieving regulatory compliance can involve many different things, from ensuring the physical security of the servers that contain sensitive data to reporting breaches promptly. Because these requirements are so broad, it is highly unlikely that you will be able to find GDPR software or a data management solution that will address all possible compliance requirements. Therefore, when choosing a GDPR solution, you need to understand which GDPR requirements it can address and how it matches your needs. 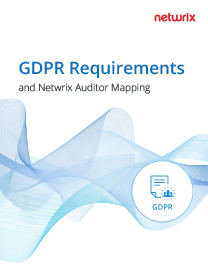 Depending on the configuration of your IT systems, your internal procedures, the nature of your business and other factors, Netwrix Auditor might also facilitate compliance with provisions of the GDPR not listed above. 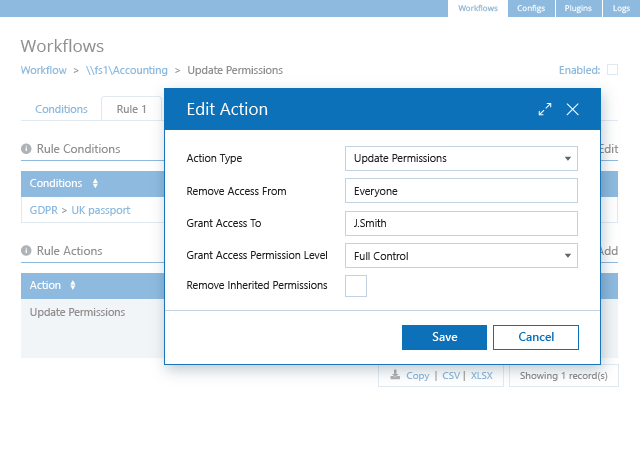 The Netwrix Auditor platform provides capabilities essential in any GDPR compliance software, helping you turn your GDPR action plan into reality. It enables you to easily identify where GDPR-regulated data resides in your network, who has access rights to that data and how the data is used, as well as keep an eye on anomalous data activity, so you can easily achieve and demonstrate your adherence to this rigorous data security regulation. Ensuring the security of regulated data is not enough if your overall security is weak and can be easily breached by cyber criminals. Start by making sure you have strong identity and access settings, and ensuring that there is no overexposed data in your network or potentially harmful files on your corporate file servers. 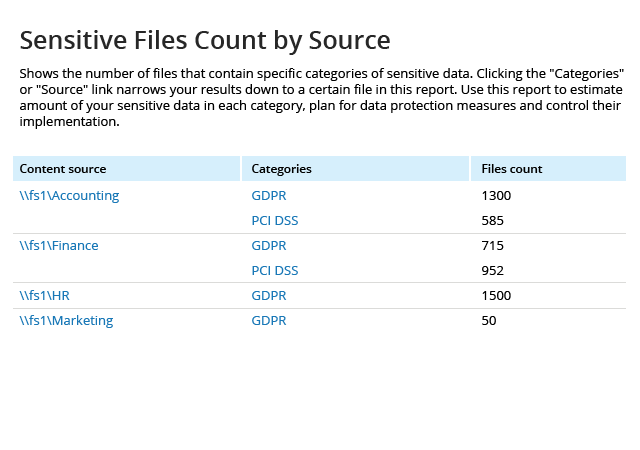 Identify which files and folders contain data that is regulated by GDPR, so you can plan and implement a strong data security policy and enhance your data governance processes. The data discovery technology from Netwrix enables you to choose which categories of sensitive data you want to identify. 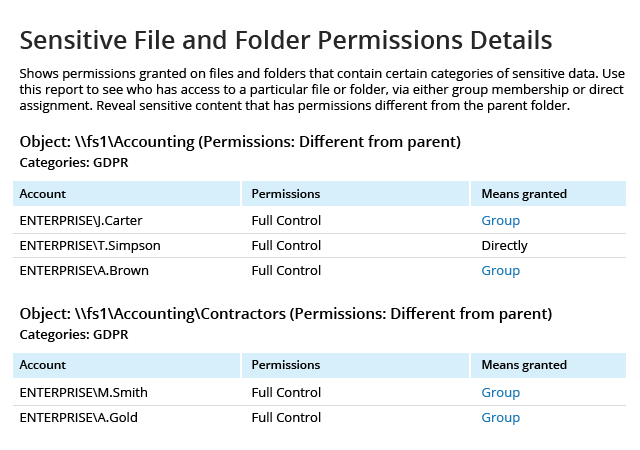 Ensure data privacy by aligning all permissions with the least-privilege principle, so sensitive resources are available only to authorized employees. 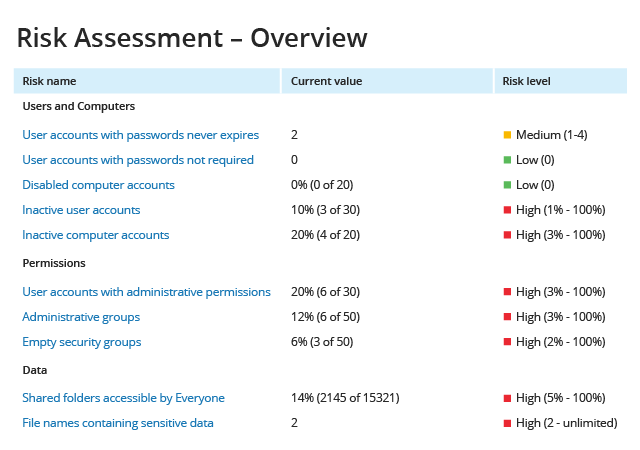 Easily identify users with excessive access rights to minimize the risk of data breaches. 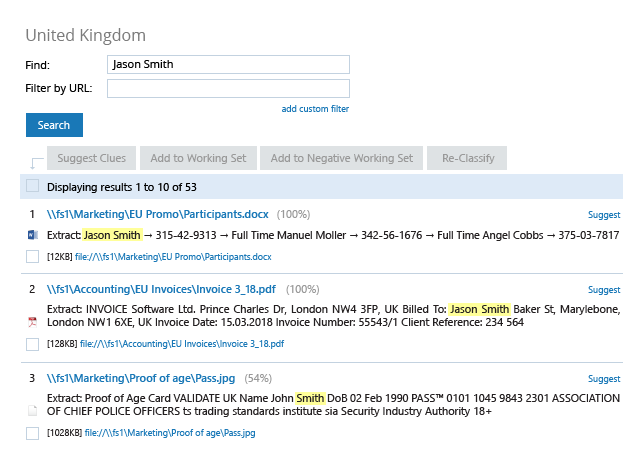 Set a workflow that will automatically remove access to EU citizens’ personal data from global security groups like Everyone in order to minimize the risk of a data breach and avoid compliance problems. Quickly find all data on your file servers about EU citizens who have withdrawn their consent for processing of their personal data, so you can erase it completely. IntaPeople ensures GDPR compliance and enables timely detection of suspicious activity. Credissimo Ensures GDPR Compliance and Reduces Preparation Time for Audits.